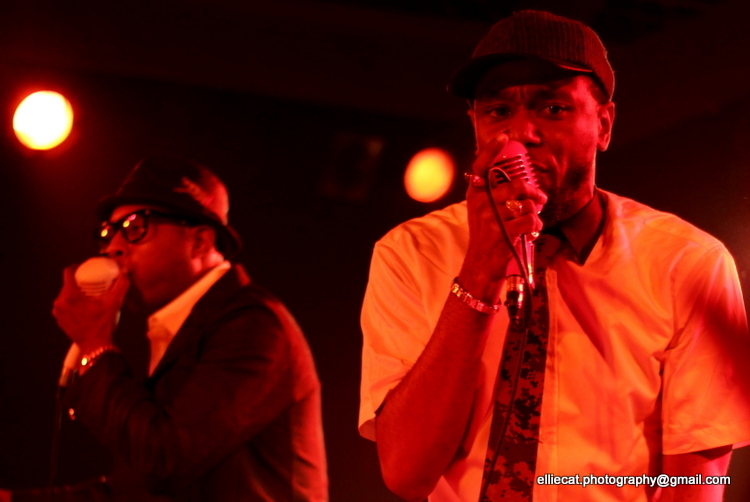 Black Star, which is composed of Mos Def and Talib Kweli are always animated and full of life. Their enthusiasm and intensity never wained and neither did their clear pleasure of interacting with the audience. Showbox SoDo is a tight venue, and even tighter during a packed hip-hop show, but the staff was kind and the people were respectful, even though they were stuffed in like sardines in front of the stage. Talib Kweli threw down some awesome freestyle, letting everyone know that he’s still got it. The two ladies from THEESatisfaction have soulful voices and great dance moves. I wonder if they were happy to be there though? Not once did I see them crack a smile, or interact with the audience. This was a sharp contrast to Black Star and I’m curious if they were just nervous, or bored? Written by: ellie on 11/24/2011. This entry was tagged blackstar, mos def, november, showbox, talib kweli, thee satisfaction. Bookmark the permalink.